Don’t try this at home. Or at the office. Or anywhere, really. The new 2018 iPad Pro has a lot of magnets inside. There are around 90 of them on the back of it alone, just to stick it to the Smart Keyboard Folio or the ridiculously priced new Smart Folio cover, according to tests done by Pocket Lint. 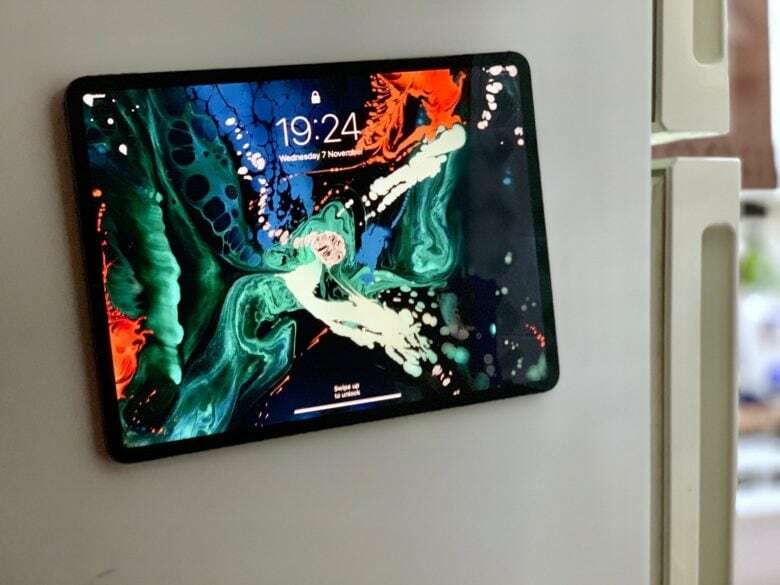 But those magnets are also great for sticking the iPad Pro to a refrigerator door like a giant fridge magnet. Still, I wouldn’t do this regularly. It’s far too scary, and the consequences too dire, especially as a kitchen often has the hardest of all floor coverings — tiles — ready to smash the screen of your beautiful new 2018 iPad Pro. What I’m happier about is that the new iPad Pro will stick to a steel music stand. That’s a lot safer, because the stand already has a lip to support books and manuscripts. That lip also supports the iPad very well, but now it has a little magnetic helper. Maybe this isn’t an intentional feature, but it’s a nice one to have.